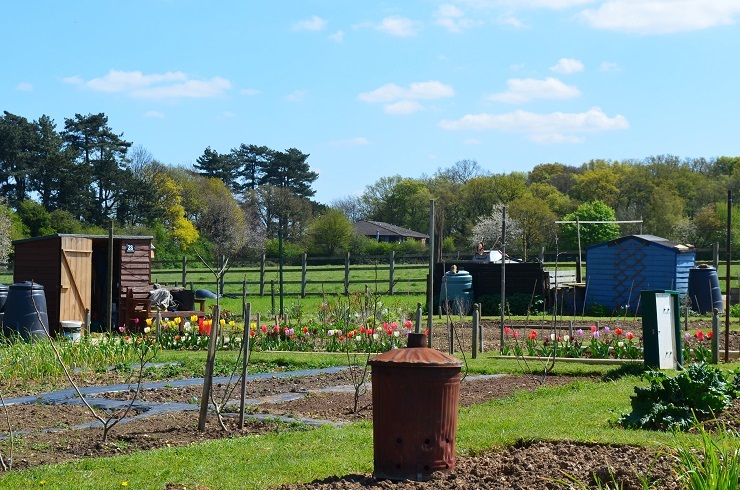 Finding inspiration is really important to keep my motivation going – allotmenteering can be lonely, something of a slog and even on a big site like ours familiarity can breed similarity. Watching t’telly and scouring the internet is all very well, but my eyes suffer (ye gods that makes me sound ancient! ), you rarely get the detail and you definitely can’t have a proper furtle to see how something is grown/tied in/built. It doesn’t have to be a snazzy, professionally maintained space either. As my long-suffering family well know, if there is an allotment site anywhere near where we are, I am off for a meandering look-see & poke-about. With a camera. Being a stone’s throw away from Hampton Court Palace means I can get to the fantastic kitchen garden fairly often. 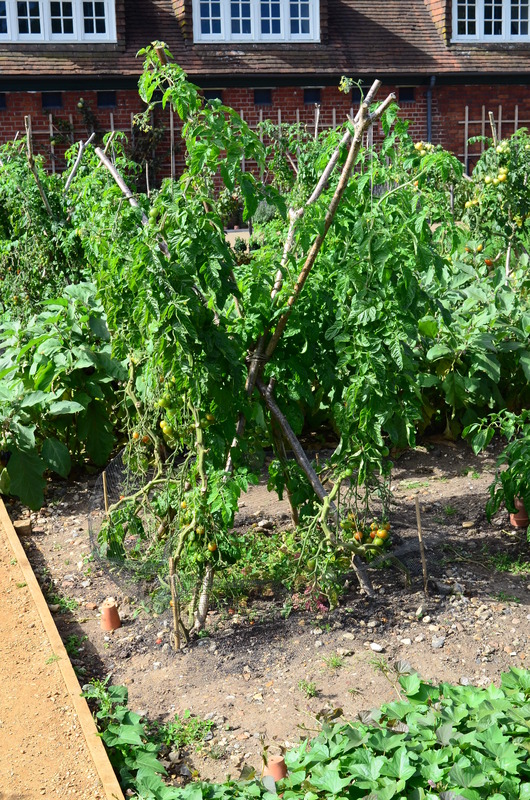 From my visits there I am pinching a new way of growing outdoor tomatoes for 2017, which looks interesting as well as making good use of space. I think you initially train them up the lower part of the ‘X’ and then move them back out along the upper half as they grow taller. This year I treated myself to RHS membership. Wisley’s just down the A3 from here and I thought it would be good for a regular mosey. And it’s been brilliant. 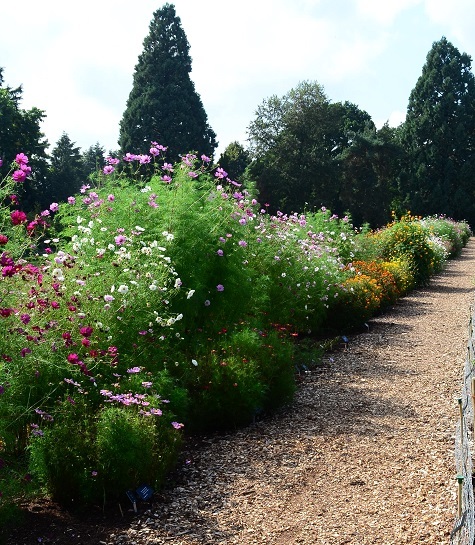 The best bits for me this year (other than meeting up with Kathryn who writes A Little Bit of Sunshine) have been Wisley’s trained fruit field and the trials field – specifically the cosmos trial. Metres and metres of varieties. Not all pink either. 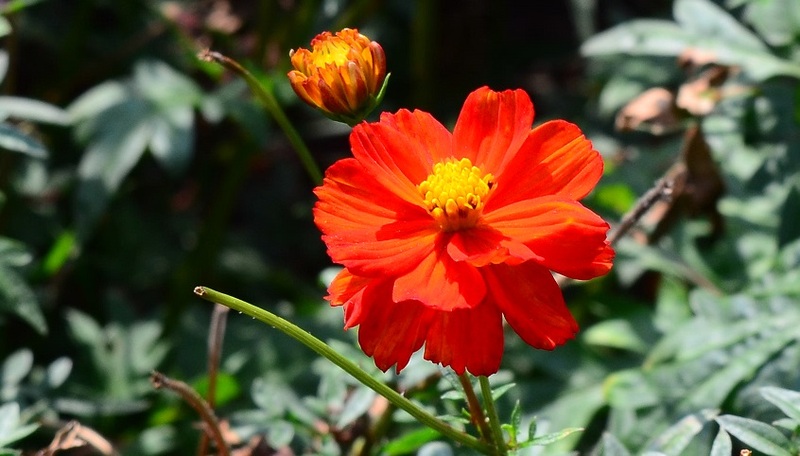 Above top row: Cosmos sulphureus Cosmic Red and Brightness Red. 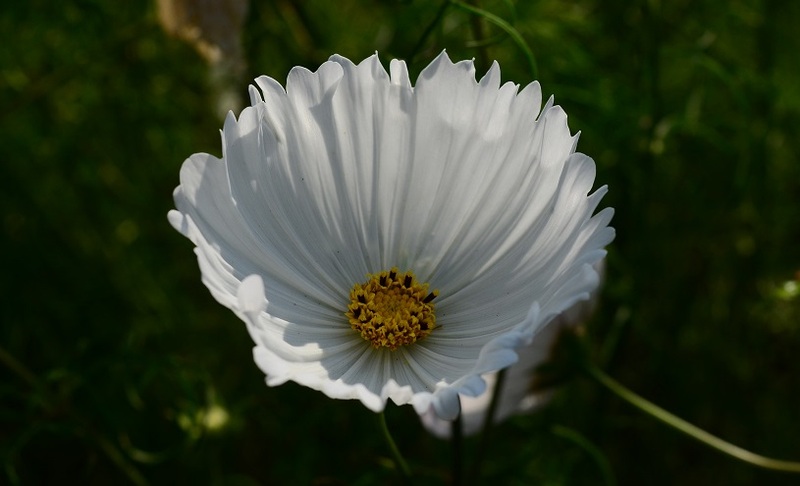 Bottom row: Cosmos bipinnatus Cupcakes White (fused single petal) and, embarrassingly, Cosmos ‘I haven’t a clue because I forgot to take a shot of the blessed label!’. Possibly Sonata or Purity? It’s pretty though. 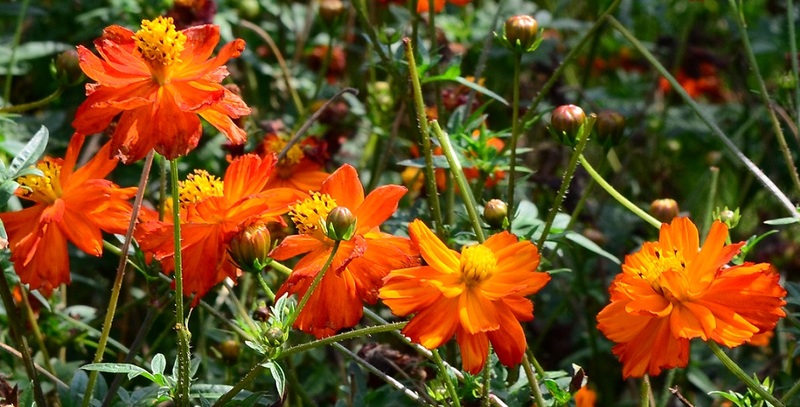 The flowers left and below are cosmos bipinnatus too, but much more fluffy. Left is Double Click Cranberries at Wisley and below is ‘Double Click Snow Puff’ on the allotment – hugely prolific, crawling with happy bees and gorgeous delicate petals. I grew 3 this year and they kept the flat in blooms for months. This was taken at the end of the day, bathed in allotment twilight. Loved this Beryl. Like you I never thought I’d be one for the ‘Flaaahs’ and like you, the allotment and other growers have had an impact on that. 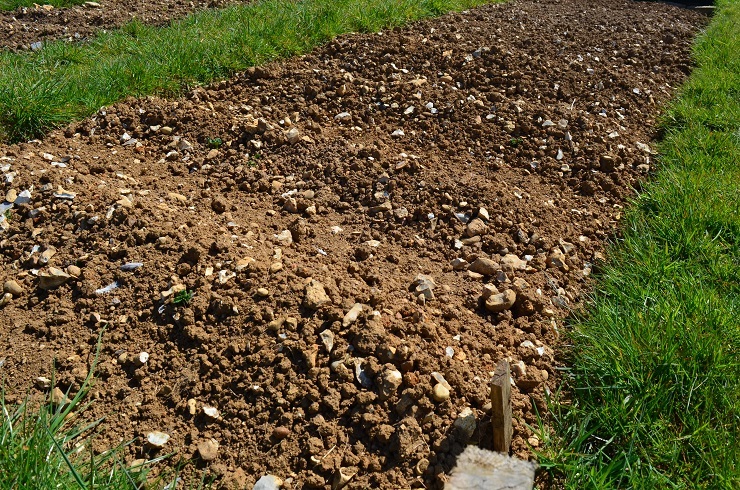 I’m also looking to set up a cut flower bed for the new season. I’ve kinda told myself it’s ok on the plot as I’m cutting them and taking them back for use in the house… just not eating them. 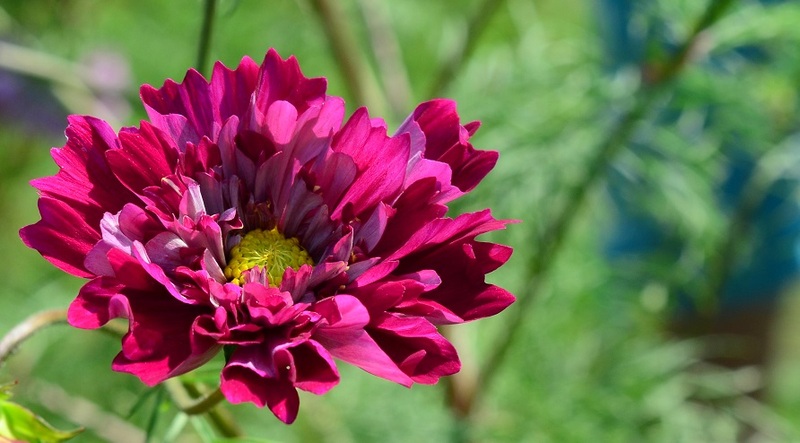 I have no idea why but I’m seem to adore Dahlias.. and of course Cosmos. I’ve grown neither before so this is now an adventure. We’ll have to compare notes next season! 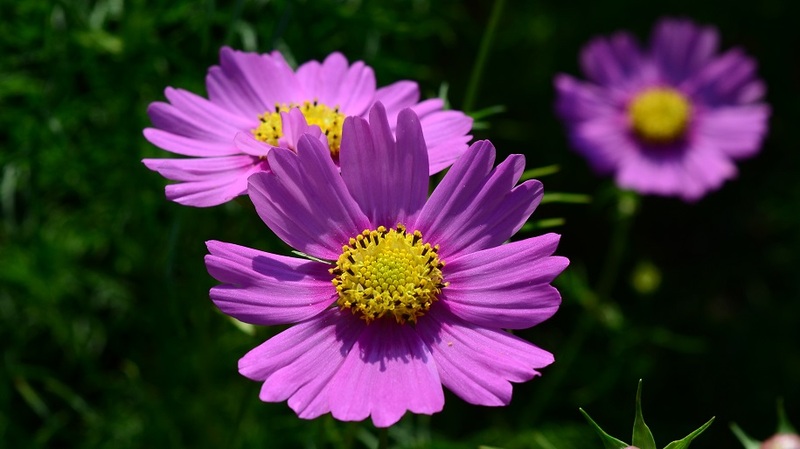 I have a load of lily bulbs coming in Feb, and am eyeing up various selections of dahlias too – April Heather is just stunning.